In just 3 easy steps, we’re going to show you how to conquer the weekend – on and off the slopes. 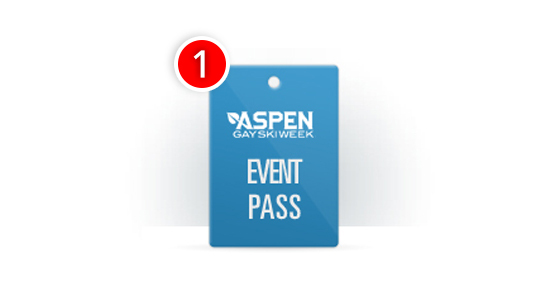 The Gay Ski Week Pass is your key to the week. You’ll get access to the action: all of the hot galas and parties that make Gay Ski Week such a blast. Click here to learn more about the pass. Half the fun at Aspen Gay Ski Week happens on the slopes and between the sheets! First things first: hotel, lift tickets and ski or snowboard reservations. 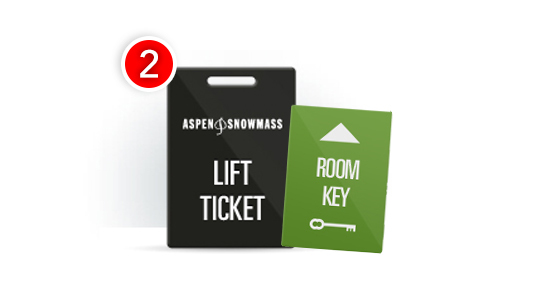 Click here to book your room and your lift ticket. RSVP on our Facebook page. Find old friends or new ski buddies before you even get to Aspen. 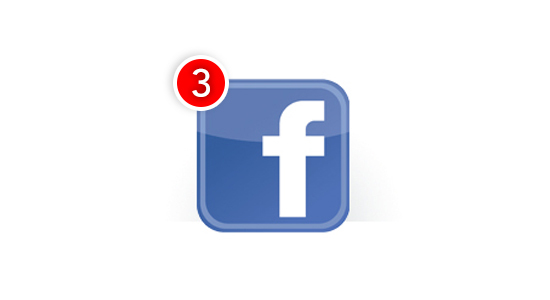 Be sure to stay up to date with news on our official Facebook page. Never-Ever Private Ski or Snowboard Lesson – The best way to ride your first time! This is an amazing deal and experience for you and 4 of your friends. 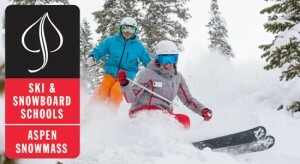 Private ski/snowboard lesson for 5ppl for a full day on Snowmass or Buttermilk for $405 January 13-20, 2019. That’s less than $100 a piece for each of you. This is the first time this is offered on Snowmass Mountain and just for Gay Ski Week attendees. Our Guarantee: When you consider that every lesson is backed by Our Guarantee, it becomes a risk-free investment – if you are unsatisfied with your lesson, we’ll enroll you in another lesson at no extra cost to you. Book your lift and lessons today by clicking here! Get ski & snowboard rentals on the newest and hottest gear. Don’t lug your equipment around, rent from 4 Mountain Sports and they’ll move it and store it for you. No matter where you are in Aspen Snowmass, you’ll find nine convenient Four-Mountain Sports locations for easy pick-up or drop-off. 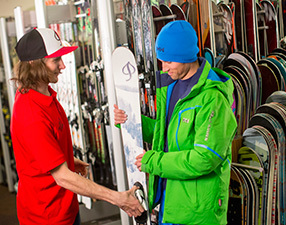 When you rent from Four-Mountain Sports, you can take advantage of FREE ski and snowboard overnight storage and transfer (provided by Aspen Snowmass Skier Services) to any of the four mountains. Book your rentals today by clicking here! Browse the gear, select your rental dates and complete your reservation from your desktop, tablet or smartphone. Type in STAYASPENSNOWMASS in the coupon field to receive 10% off your order. We ship via FedEx to your destination. 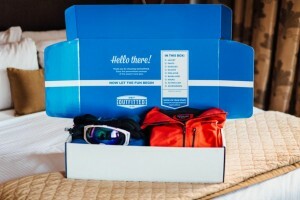 The gear arrives cleaned and beautifully packaged ready for you to hit the slopes.